When you desire to wear the best custom cheer socks, TeamCustomSocks.com is your go to resource for custom socks online. Not only do we knit the most awesome socks when it comes to durability and comfort, our socks show off your designs and colors like no other. This is due to the materials, 3 seam knitting process and unlimited color choices we use and offer. As well, you can tailor your order to be custom knee high cheer socks or any height from your ankle to your thigh. 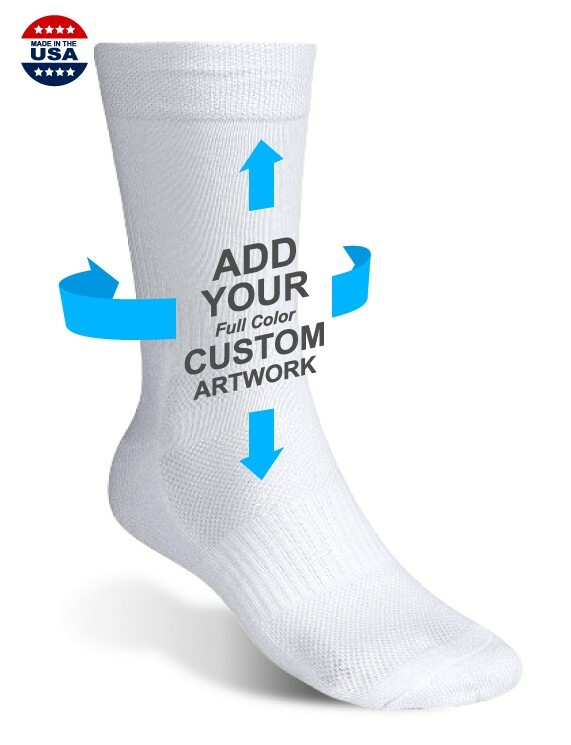 When we say customized socks, we mean 100% custom socks. You are in control of every detail of the design process to build them to your exact specifications. For special cheerleading events or to outfit your team for the season, buy the best custom socks possible and you won’t be disappointed. We offer both Womens socks and Mens socks that are styled and knitted for the differences in foot shape and size. Made in the USA, means you get to wear the best socks on the planet manufactured with all American pride.